Here’s some cycling-relevant material from the Journal of Sports Sciences. You’ll have to subscribe to the journal to be able to read the whole articles and it would be mostly technical details, but the main points are interesting. 1. Being obese is a good deal less of a danger to your health than not being fit. Apparently, people who are obese or overweight have their risk of early mortality offset by a good degree of fitness. If you are into cycling and not achieving the weight-loss results you should, then this suggests that you should not be too worried. Being “fat” is much less of an issue than simply achieving a good level of cardiovascular fitness. Fatness and fitness are, moreover, not opposites. We would need to keep in mind too, that muscle weighs more than fat. Having good muscle definition, then, certainly looks good, but if you are not one of those, are carrying a bit of flab, but spend time on the bike, then you are in no worse position, physically, and may even be in a better condition. 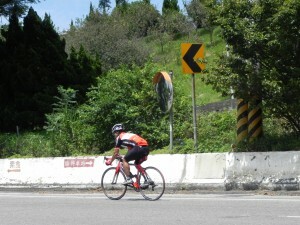 I have seen this very often at the cycling events around Taiwan. M 45, M50 and M55 divisions often have “portly” competitors that consistently place in the top 5% of their group. They have the fitness, and power (power-to-weight ratio is very important here) to produce some great cycling performances. 2. The second article is directly about cycling. This study followed 10 male and one female elite cyclists over 11 months. Power output and heart rate were the main factors measured. It seems, basically, that the main gains in performance came from low-cadence strength workouts. Intense workouts at a consistent level of power output contributed most to performance improvements. Thanks, very encouraging articles for an overweight cyclist like me! Drew and I are looking forward to biking out to your shop and pestering you with all sorts of annoying questions one of these days. You are most welcome Michael. We are suppliers and not retail so the warehouse/w-shop/office is open M-F 9am-6pm, sometimes later depending on what’s going on. Sometimes we’ll be here on the weekend, but we’ll usually be on the road somewhere on cycling related activities.